The United States of America has lifted the ban on laptops and other electronic devices in the cabin on US-bound flights from Abu Dhabi Airport. The change is attributed to the successful efforts of Etihad – the only airline that flies directly from Abu Dhabi to US – to implement extra security measures. It is the first exemption made since the ban was implemented in March 2017. 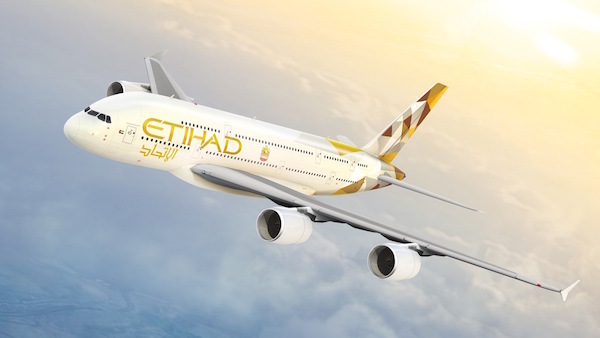 According to the BBC, American officials exempted Etihad Airways passengers from the requirement to put laptops and other “bigger-than-a-smartphone” portable electronics in the check-in baggage, after the airline had implemented extra security measures. The additional measures include increased passenger inspection, meaning that passengers will now go through US customs and border screening before taking off, according to Reuters. The US had announced a ban on the transport of laptops and other electronics in March 2017, fearing that IS terrorists could attempt to hide explosives in batteries and battery compartments. The ban applies to electronics that exceed the size of a regular cell phone, in hand luggage on direct flights to the United States from 10 – mostly Muslim – countries. The ban concerns direct flights to the United States of the following airlines: Royal Jordanian Airlines; Egypt Air; Turkish Airlines; Saudi Arabian Airlines; Kuwait Airways; Royal Air Maroc; Qatar Airways and Emirates departing from the Middle East. Following the US example, the ban of electronics in the cabin on inbound direct flights from certain countries is also implemented in UK and Australia, with New Zealand still being on the fence about such measures. However, the US has recently announced that the ban might be replaced with other security measures. However, even before stricter the airport security, Abu Dhabi had another “security measure” implemented, when it cut diplomatic ties with Qatar and announced a land, sea and airspace blockade over the terrorism support claims on June 5, 2017.